A Mayo Clinic rheumatologist has been named vice president of the Rheumatology Research Foundation, a nonprofit organization that funds research and training to advance the treatment of rheumatic diseases. 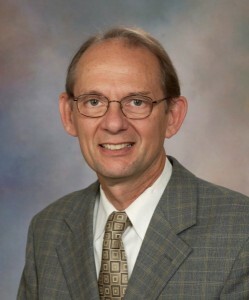 As vice president, Eric Matteson, M.D. , rheumatology chair at Mayo in Rochester, Minn., will serve on the foundation’s board of directors for two years. Dr. Matteson’s Mayo Clinic research has included studies aimed at identifying rheumatoid arthritis patients most at risk of heart disease and kidney disease and working to prevent such dangerous complications. He has served on several American College of Rheumatology committees. As chair of ACR’s communications and marketing committee, Dr. Matteson helped launch the Simple Tasks campaign to raise public awareness of the disabling nature of many of the more than 100 rheumatic diseases. The Rheumatology Research Foundation was established in 1985. Since then, it has awarded more than $107 million to medical and graduate students, residents, fellows, physicians and other health care professionals.